The Automotive Technology program is a comprehensive sequence of courses that cover all aspects of the automobile. Students explore automotive systems and their components and learn how to apply automotive operating principles and to diagnose malfunctions. Students develop skills in service, repair, and diagnostic procedures. 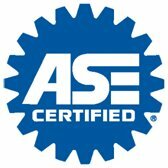 This ASE (Automotive Service Excellence) certified shop provides students with the opportunity to prepare for college and trade schools as well as the workforce. 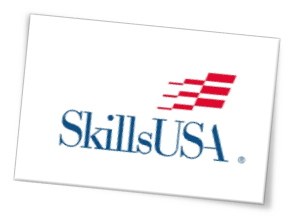 Students can earn industry certifications from ASE, compete in Skills USA competitions, and gain hands on experience. The Warren Tech Automotive shop features an agreement with Warren County Community College that enables students to continue their education at WCCC where they can earn an Associate Degree in Automotive Technology. Students in the Automotive Technology Career Academy can earn up to 10 industry recognized certifications from ASE (Automotive Service Excellence). 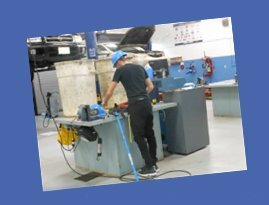 Students in the Automotive Technology Career Academy gain hands on experience working in a state of the art facility and equipment. The Warren Tech Automotive Technology Career Academy has a variety of pathways available for students to pursue: College Prep, the Workforce, Trade Schools and the Military. Students enrolled in Automotive Technology classes at Warren Tech are prepared to continue their education through a partnership with Warren County Community College. Students in the Automotive Technology Program can hone their skills while competing in SKILLS USA in various competitions such as Automotive Service Technology. Warren Tech automotive students are also introduced to various automotive trade schools and are prepared to continue their education at one of these schools. Past Warren Tech graduates from this program have gone on to Universal Technical Institute (UTI), Lincoln Tech, and BMW Service Technician Education Programs. Automotive Technology students are also prepared to enter the workforce out of high school. 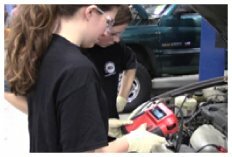 The Warren Tech Automotive program provides students with the skills they would need to begin a career as a technician. By obtaining Automotive Service Excellence (ASE) certifications students become marketable for careers. Successful students in this pathway also have the opportunity to begin working through structured learning experiences at local repair shops gaining valuable work experience as a senior at Warren Tech. Automotive Technology students also have the option to pursue military careers.� Often the mechanical skills honed at Warren Tech make our graduates sought after as military mechanic or heavy equipment operators. Students in the Automotive program gain hands on business experience through the operation of Warren Tech Auto shop and through Senior Option Structured Learning Experiences.